Stuffed Prawns ~ I Can Do That! The only other ingredients left that I haven't made into Philippine-style relleno are prawns, and I would love to stuff whole frogs too if only they were readily available. For the prawn stuffing, I used a combination of smoked ham [instead of the usual ground pork], scallions, chives, and Italian parsley and wrapped them in lumpia (spring roll) wrapper before deep frying until crispy. 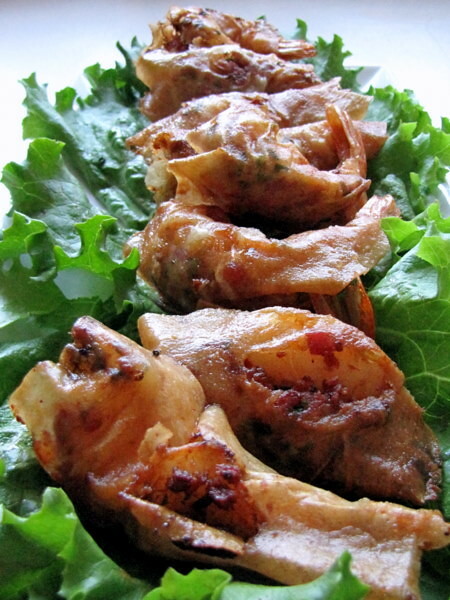 They are crunchilicious and are the perfect appetizers for the coming holiday meals. I love them served with sweet chilli sauce or spicy banana ketchup. Slit the back of the prawns. Combine ham, scallions, chives, and parsley. 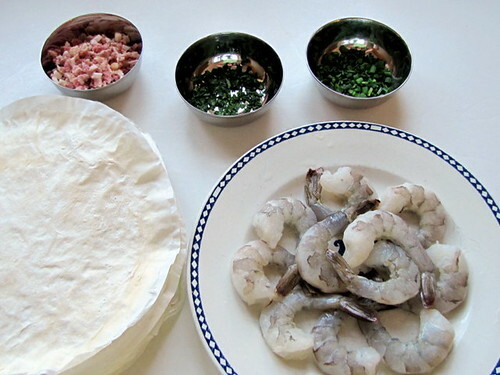 Fill each prawn with one tablespoon of the mixture and wrap with spring roll wrapper. Deep fry in hot oil until golden brown and crispy. Serve immediately with sweet chilli sauce on the side. Thank you Anna and Dahlia for choosing Relleno and for hosting this month's Kulinarya Cooking Club edition. 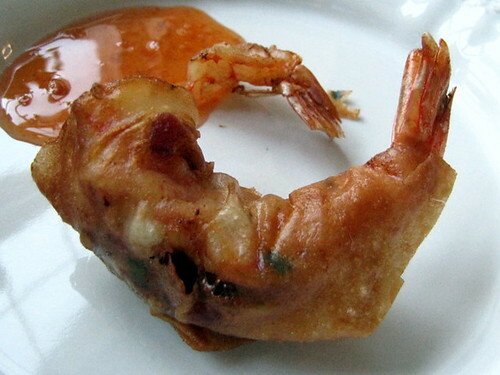 I am impressed.. stuffing prawns isn't easy.. this is soo cool! Your stuffed prawns look delicious! I love all kinds of relleno too...and bring on the banana ketchup and sweet chili sauce, yum! excellent idea. yum with chili sauce. This looks so delicious right now. Great idea for noche buena I'm planning now.